Free Shipping Included! 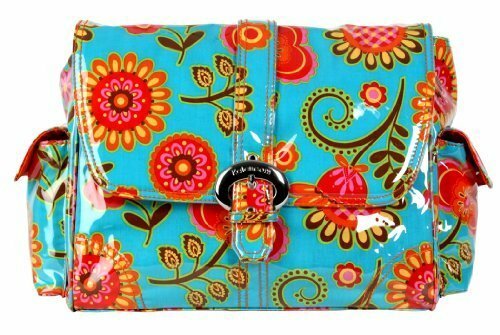 Save 1% on the Kalencom Laminated Buckle Bag, Tuscany Turquoise by Kalencom at Time For Everything. MPN: 2960TUSCANYTURQ. Hurry! Limited time offer. Offer valid only while supplies last. A magnetic clip keeps the top flap closed. The laminated outer layer makes clean up a snap! Roomy interior with pockets. Shoulder length straps.